USA Triathlon and Multirace LLC partnered to produce the first ever USA Triathlon Multisport National Championships Festival! The inaugural festival, was hosted as part of the annual Miami Man Triathlon and brought together 5 USA Triathlon National Championships. 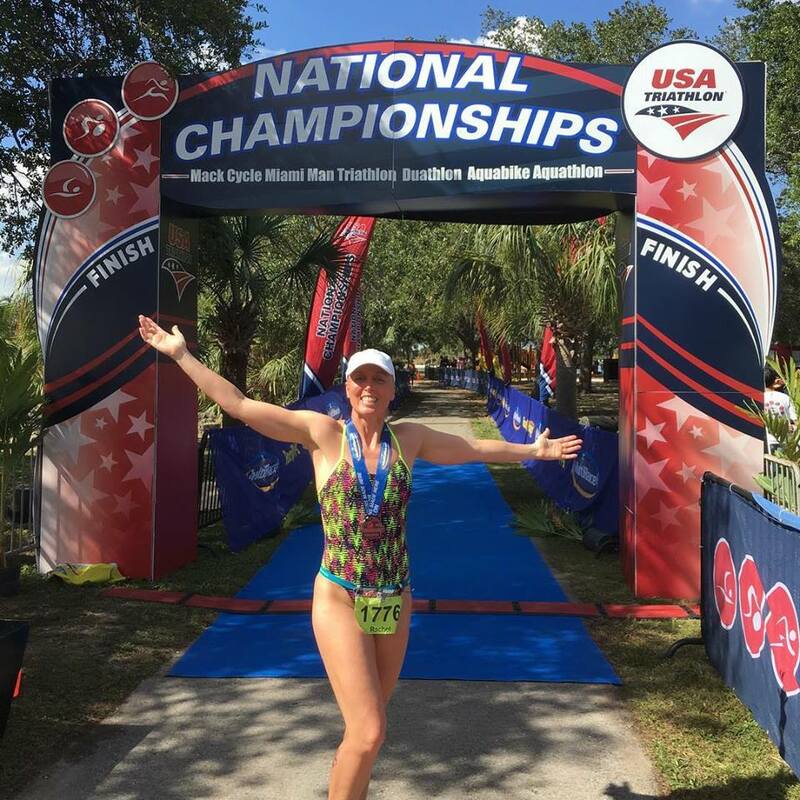 Former Bermuda Female Athlete of the Year Lisa Blackburn competed in the Aquathlon Nationals. The Aquathlon Nationals saw the competitors complete a 1000m Swim followed by a 5k Run. During the Swim, Blackburn went toe-to-toe or stroke-for-stroke with Brazil’s Carla Moreno who is a former Triathlon World Cup Champion. Blackburn competing in the Female 45 – 49 Age Group Division was 2nd out of the water in a time of 16:26 she was 30 seconds behind Moreno. Blackburn would clock a time of 29:07 on the Run Course to finish with an overall time of 46:44, Blackburn would finish 6th in the Age Group.